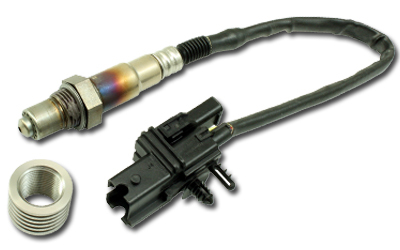 AEM's wideband O2 UEGO AFR replacement sensor and stainless-steel, finned, stand-off bung kit includes only a replacement Bosch 4.2 LSU Wideband UEGO sensor and stainless steel tall manifold bung. It is designed for installation and use with the AEM 4-Channel Wideband UEGO Controller, and forced induction (turbo and supercharged) applications. These sensors have a laser-etched, calibrated resistor in the sensor’s connector body. This resistor is specifically created for the exact sensor that it is attached to. Modifying this will invalidate the sensor’s output. 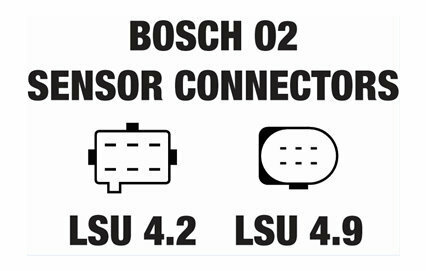 The wideband sensor is laboratory-calibrated at the Bosch factory, accurate to 0.1 AFR and never requires free-air calibration when used with an AEM wideband AFR controller. 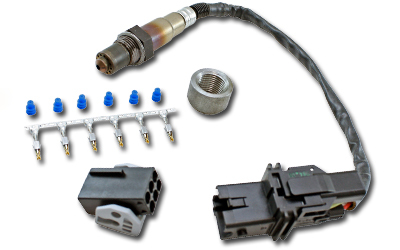 Never requires free-air calibration when used with an AEM Controller and connector plug. Want this item shipped out tomorrow, April 19? Order within the next 16 hrs 27 mins.